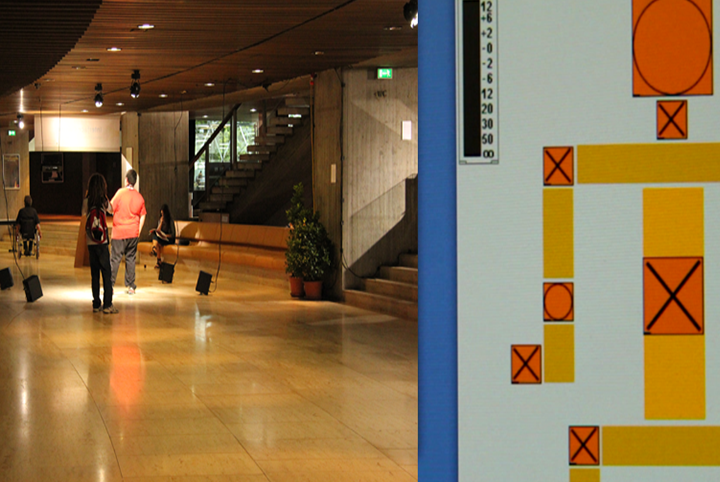 In this installation visitors are invited to explore a virtual mine of sounds and words to create a personal and intimate meaning and experience. 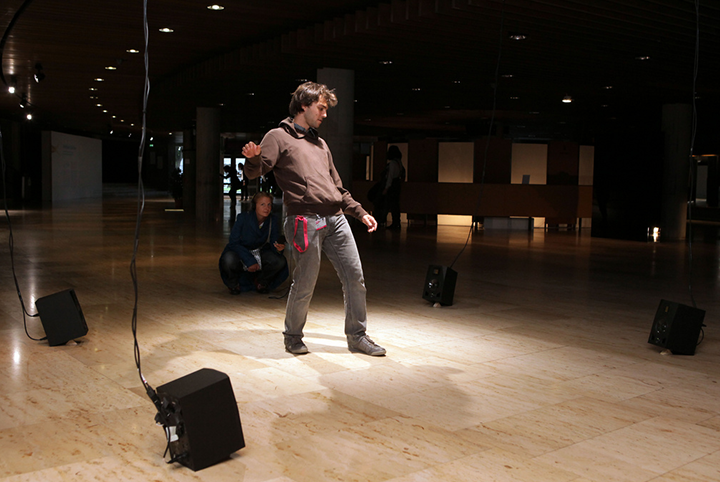 The system presented here, which links orality and gestural performance, is an invisible and impalpable auditory interface for performing real-time sound poetry through body interaction. The environment is composed of a video sensor, which detects the movement of every part of the users’ body, and four speakers that display the sound created and controlled in real-time by the users. 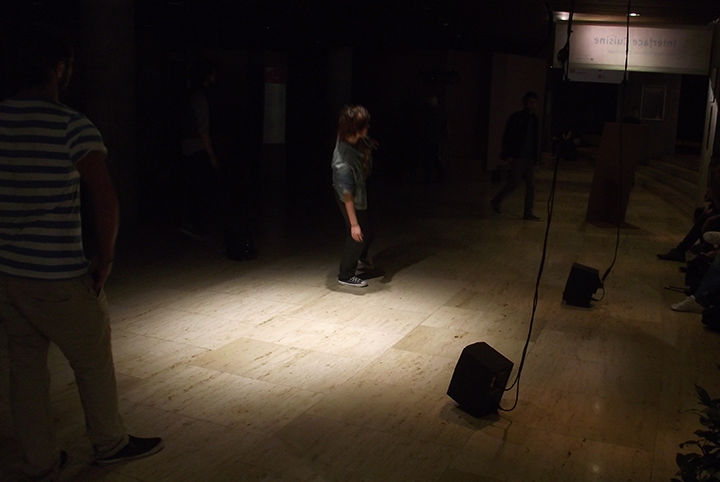 The sound space consists of an archive of prerecorded poetry that the users can modify and modulate through active participation with their body. Through the exploration of the different correspondence between body and space, the users are able to create their own new sound poetry compositions. Take it seriously, or just do it for fun!